Have a question on Optima? Optima is available in 9 different colors - Bright Silver, Snow White Pearl, Abyss Blue, Smoky Blue, Aurora Black, Temptation Red, Golden Beat Metallic, Satin Metal and Platinium Graphite. Watch latest video reviews of Kia Optima to know about its interiors, exteriors, performance, mileage and more. 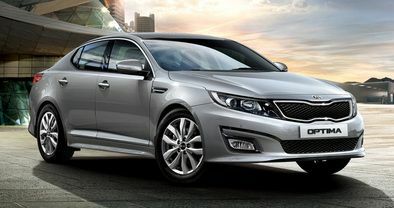 What is the price of Kia Optima? On road prices of Kia Optima in Colombo starts from රු.7.4 Million for base variant 2.0L MT, while the top spec variant 2.0L AT costs at රු.7.6 Million. What are the colors options available in Kia Optima?